Maximize your company’s impact and exposure at the 2019 Wisconsin Police Leadership Foundation (WPLF) Summer Training Conference by becoming a Conference Event Sponsor! *IMPORTANT NOTE: Availability of Event Sponsorship Opportunities are limited and are offered on a “first come/first served” basis. For additional about becoming a 2019 WPLF Summer Training Conference Event Sponsor, please contact Pete Peters (WPLF Conference Coordinator) via email [email protected] or phone 218-348-5911. 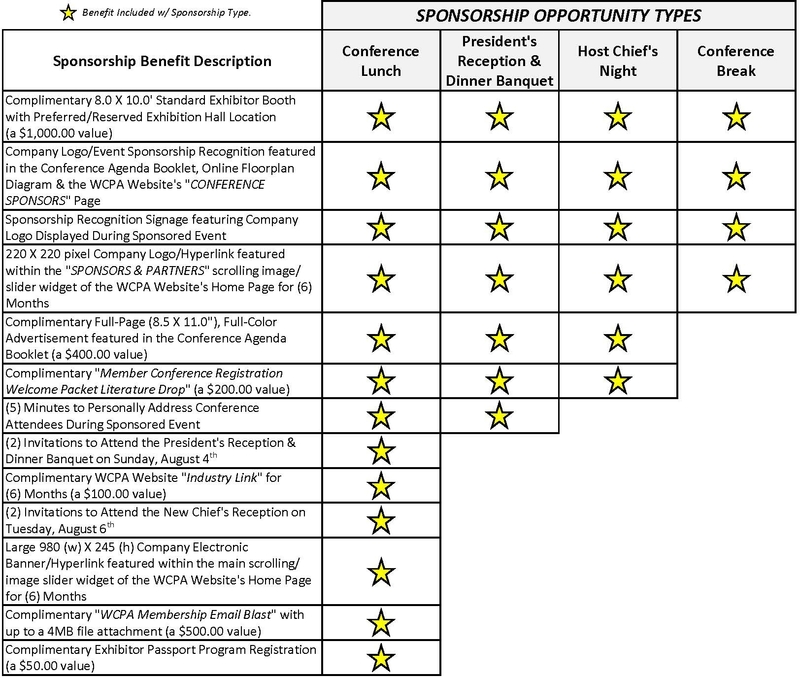 CLICK HERE TO DOWNLOAD THE 2019 WPLF SUMMER TRAINING CONFERENCE SPONSORSHIP OPPORTUNITIES DETAILS FILE.